After years of public clamoring, Microsoft has released its popular Office software in app format for the Apple iPad, allowing users of their popular software to access them via their tablets. 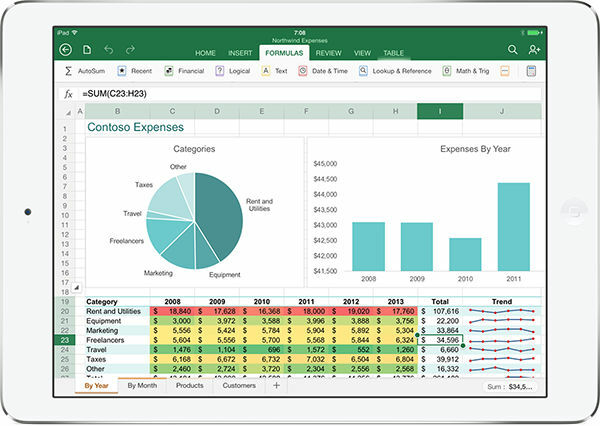 According to the Microsoft blog, “We unveiled Office for iPad – specifically Word, PowerPoint, and Excel. But this isn’t simply Office on another device. We thought a lot about what people want to do when they’re on their tablet, iPad functionality, and touch-first when we were building Office for iPad. “We know you’ve been wanting it, and starting today, you can download Word, Excel and PowerPoint for iPad from the App Store. The apps have the robust capabilities and familiar look and feel that is unmistakably Office, while offering a fantastic touch experience built from the ground up for iPad. “With the free versions of the apps, you can read your Word documents, view your Excel data and present with PowerPoint. Your documents will look as good as they do on your PC and Mac, and better than ever on your iPad. Along with the news of the release of Office apps for iPad, Microsoft also announced that they were making their Office apps for the Android operating system free as well.